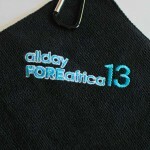 Logos look best and really pop on extra plush microfiber, and your clients will appreciate having custom logo Greens Towels on their golf bags. Made from soft, super-absorbent microfiber, each perfectly-sized (16″ x 16″) Greens Towel comes with an easy-to-use carabiner clip. 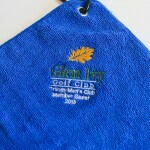 Microfiber golf towels outperform and outlast ordinary cotton towels. 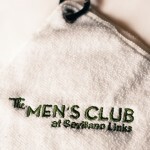 Experts agree that Greens Towels are “Best in Category” custom logo microfiber golf towels. Tens of thousands of golfers have experienced superior results with Greens Towels, making them a top choice for golf tournaments prizes and promotional golf gifts. 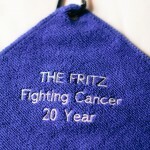 The Convenient Microfiber Golf Towel is fast becoming the #1 custom logo towel in golf. 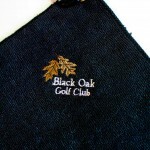 Embroidery is the tried and true best option for multi color custom logo golf towels. 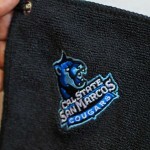 We’ll work closely with you to ensure your embroidered logo is perfect before we take it to full production. 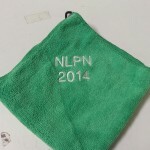 Your custom embroidered Greens Towels will look better than expected. Click on “Request Quote” button and we will reply promptly with 1st class service. 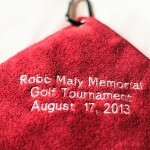 We look forward to helping you create the best embroidered golf towels for your corporate or charity event. Turnaround time is usually under 10 days plus shipping time from San Diego. 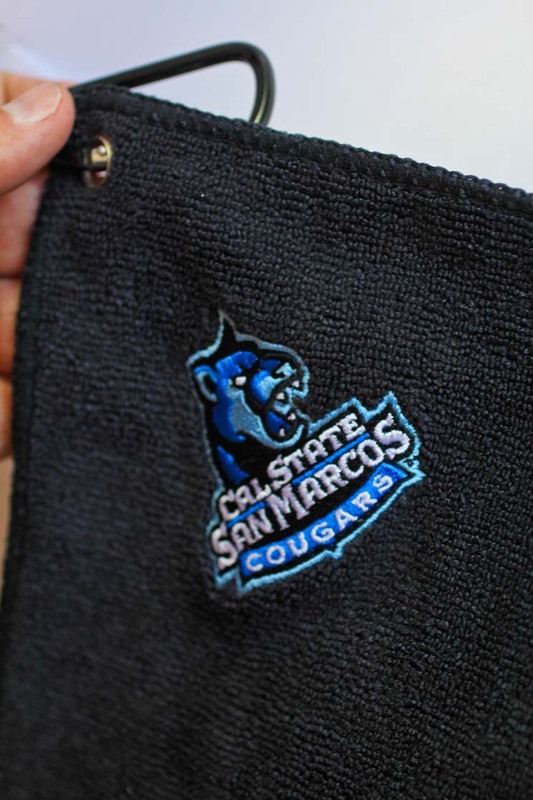 Our 4-step custom embroidery logo process takes approximately 7-14 days depending on your shipping location and approval turnaround. 1. Click “Request Quote” and upload your artwork. We may need to call you with questions. 2. 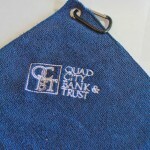 Receive Your quote to include: (Greens Towels, Custom Logo, Set Up Fees, and Shipping). 3. 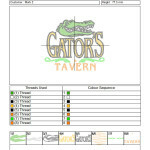 Place your order : We will e-mail you a final sample photo for final approval prior to production. To “Request Quote” click the button below.